It could lead to similar systems for humans. 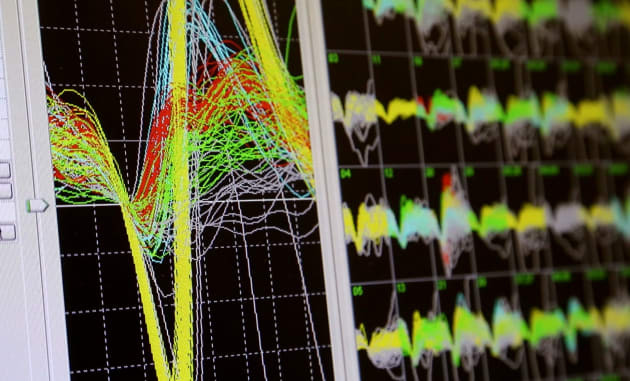 A team of scientists at Duke University have developed a wheelchair that is controlled exclusively by the thoughts of its user -- in this case, one of two lab monkeys -- and have published their findings in the journal Scientific Reports. The prototype system relies on an implanted Brain-Machine Interface (BMI), rather than the scalp-mounted EEG that similar devices use. The BMI, though more invasive, does allow for a higher degree of command with less lag. "We wanted to have something that is closer to the way we move for a human who is completely paralyzed," study leader Dr. Miguel Nicolelis told Business Insider, "because you can control each movement continuously." Once the Duke team implanted the wireless control devices in their simian test subjects, they first passively recorded the monkeys' brains waves while driving them around on the wheelchair. They used this data to create an algorithm that translates the monkeys' intentions into electrical signals that drive the machine. From there, it was simply a matter of giving the monkeys control over the chair and letting them loose. It took them less than a day to get the hang of driving and they quickly became proficient. 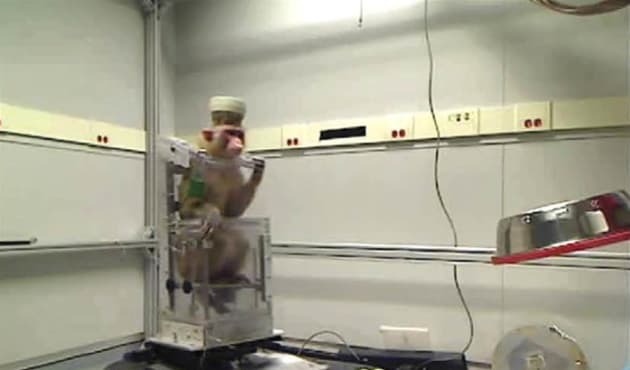 When placed in a random location within the test room, the monkeys consistently managed to direct the wheelchair towards their reward: a bowl of fruit. The researchers hope that this technology can eventually be adapted for human use. First, however, the team must overcome their BMI's 2-hour battery life.